"A rather surreal typing game!" 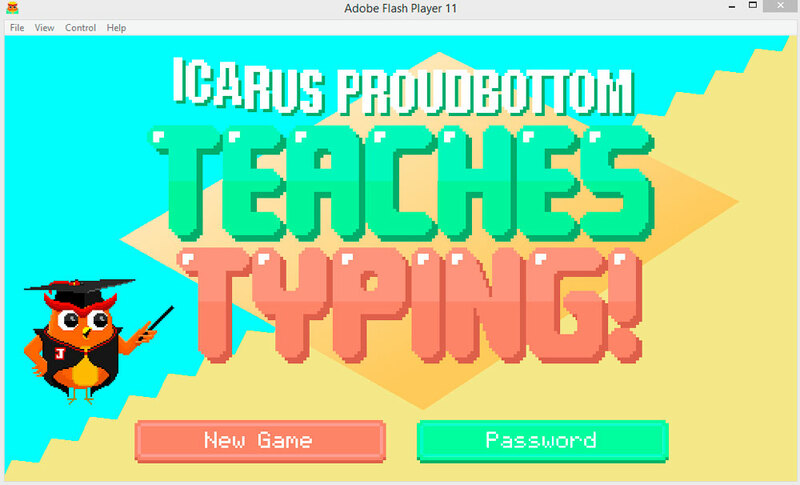 Icarus Proudbottom Teaches Typing is a rather unusual title and it’s a rather unusual game. You are introduced first to Icarus and also his Owl who will both take you through a journey of well…typing. Will it make you any better at typing? It’s not likely, will you come away educated and a more rounded person? Not really. Icarus sets you various tasks which basically means typing the phrase in front of you as fast as possible in as little time as possible. It starts off kind of fun but the longer you play the more the reality kicks in is that all you are doing is typing words and then it becomes more like work than play after a little while. There is some humor in the game that will definitely cause a few smiles and maybe even a chuckle here and there, and for a game that’s graphics would make you think it’s definitely aimed at a young audience parents might want to check this one out before allowing young children to play as there is a few weird phrases. Icarus Proudbottom Teaches Typing does have a disclaimer in the intro stating that you will not learn anything about typing although I think playing it enough could definitely increase your typing speed, it’s just it becomes dull fairly quickly and even the juvenile humor is not enough to salvage much from this. 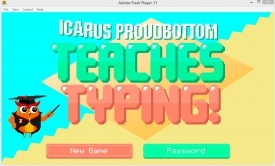 If you want something to give you a smile and practice your typing speed then Icarus Proudbottom Teaches Typing Free Download could be exactly what you are looking for, but this is something of a unique audience.